Optical node Opti Max 3100 represents a scalable receiver with possibility of expansion of functionality due to the modular structure. The modular structure allows to build up gradually a node configuration, as the network or providing of new services required increasing of performance in the direct and reverse channel are expanding, – by combining of several direct and reverse channels, and following transfer through single fiber. It became possible due to the using of CWDM technology at multiplexing of reverse channels and patented technology ARRIS CORWave. – multiplexing of direct channels. 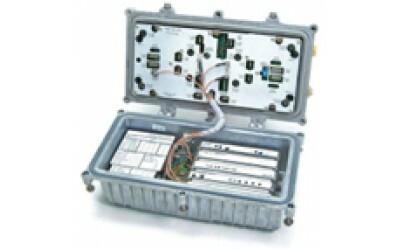 Configuration is carried out by addition of additional modules of optical transmitters/receivers and choice of appropriate configuring module – 4х1 or 2х2, which provides reservation/segmentation of the optical node.